I'm just a mama that loves to bake! 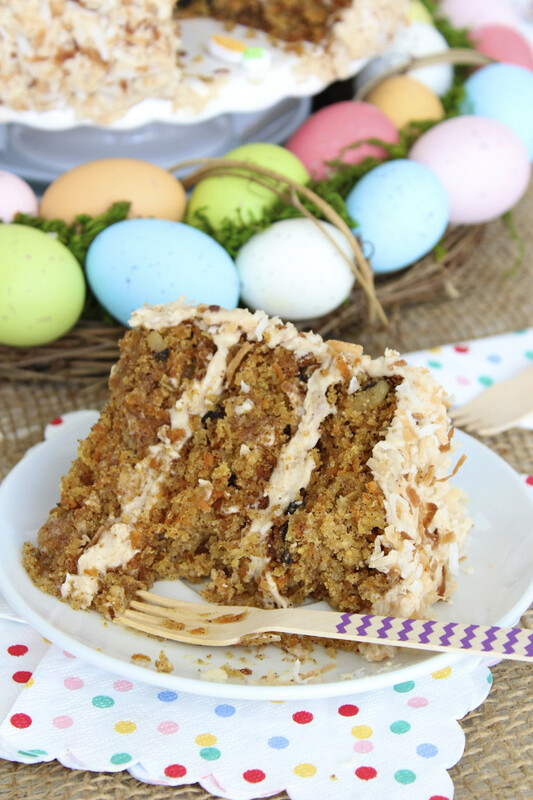 A fabulous cake that has the most fantastic flavor and texture. Perfect for spring! It’s stunning to look at and spectacular to eat! 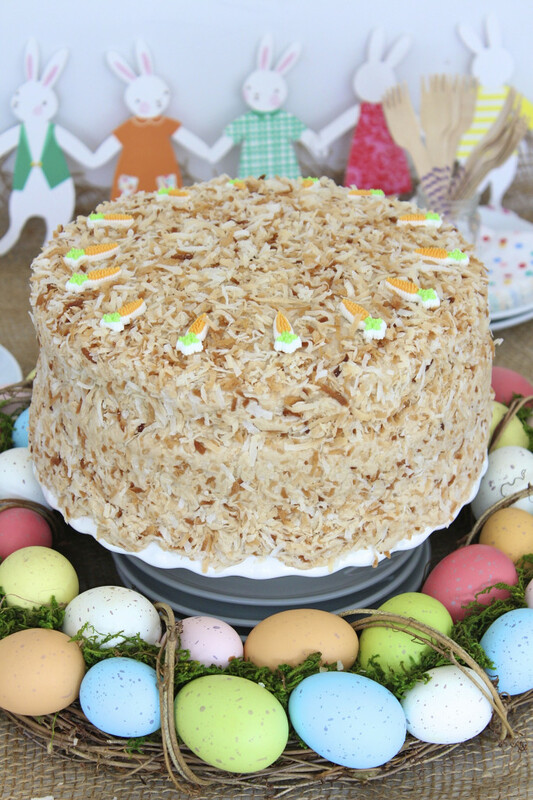 Toasted coconut covers the most amazing cinnamon-spiked cream cheese frosting that surrounds the deliciously moist and flavorful cake. 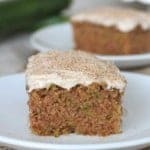 Carrots definitely add the most moistness to the cake, but crushed pineapple certainly plays it’s part with both moisture and fabulous flavor. 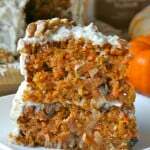 The cake gets its hearty texture from a little cornmeal, some chopped walnuts, and lots of coconut flakes. To enhance the coconut flavor, I added coconut extract, but feel free to use all vanilla if you prefer. I highly recommend the coconut extract though…so so tasty! 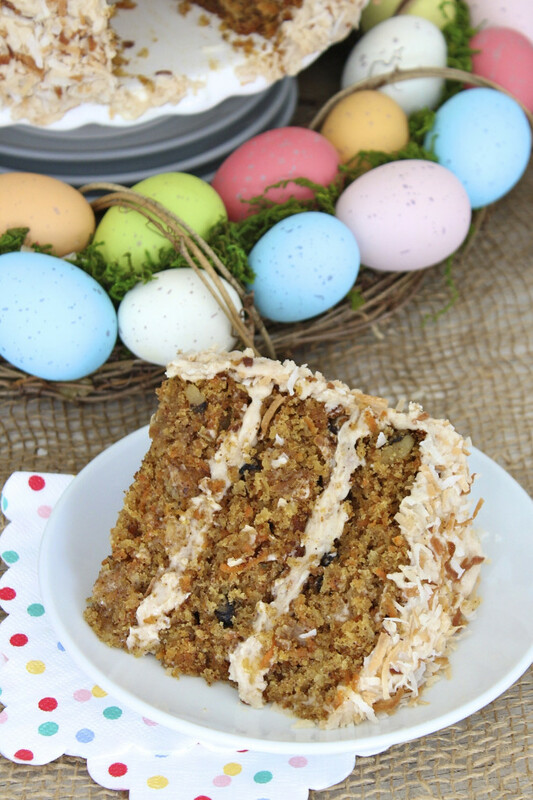 Whether you’re looking for the perfect dessert to finish off your Easter feast or just a yummy yummy cake to serve for a special occasion, this is the one! Preheat oven to 350°F. Line the bottom of three 9-inch round cake pans with parchment paper then spray with non-stick cooking spray and dust lightly with flour. Set aside. In a large bowl, whisk together the flour, cornmeal, baking soda, baking powder, salt and cinnamon. Set aside. In the bowl of an electric mixer, beat the oil, granulated sugar and brown sugar until smooth. Add the eggs, one at a time, until well combined. Beat in the vanilla and coconut extracts. Add the flour mixture, in two batches, until just combined. Stir in the shredded carrots, pineapple, walnuts and coconut. Divide batter evenly among prepared cake pans. Bake for 30 minutes or until cakes are browned on top and a toothpick inserted in each center comes out clean. Rotate the cakes halfway through the baking time to insure they're all baked evenly. Remove the cakes from the oven, but leave the oven on to toast the coconut. Let the cakes cool 20 minutes in the pans and then turn out onto wire racks to cool completely. While the cakes are cooling, toast the coconut and prepare the frosting. 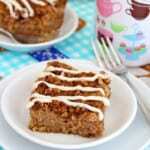 Spread 2 cups coconut out evenly on an ungreased rimmed baking sheet. Toast for 10-12 minutes, stirring every 4 minutes, until coconut just starts to turn light shades of brown. Let coconut cool completely. In the bowl of an electric mixer, beat the butter and cream cheese until smooth and creamy. In a large bowl, whisk the cinnamon into 5 cups of the powdered sugar. With the mixer on low speed, add the powdered sugar mixture, one cup at a time, to the cream cheese mixture. Add the remaining 2 cups of powdered sugar, ½ cup at a time, until the frosting is smooth and creamy again. Turn the mixture to medium-high and beat for 3 minutes until frosting is fluffy. 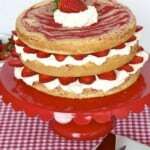 Place one cake on a cake stand or platter and spread with a thick layer of frosting. Top with another cake and spread the top with another thick layer of frosting. Place in the refrigerator for 15 minutes so the frosting sets and holds the layers together. Remove from the refrigerator and frost the top and sides of the cake with the remaining frosting. 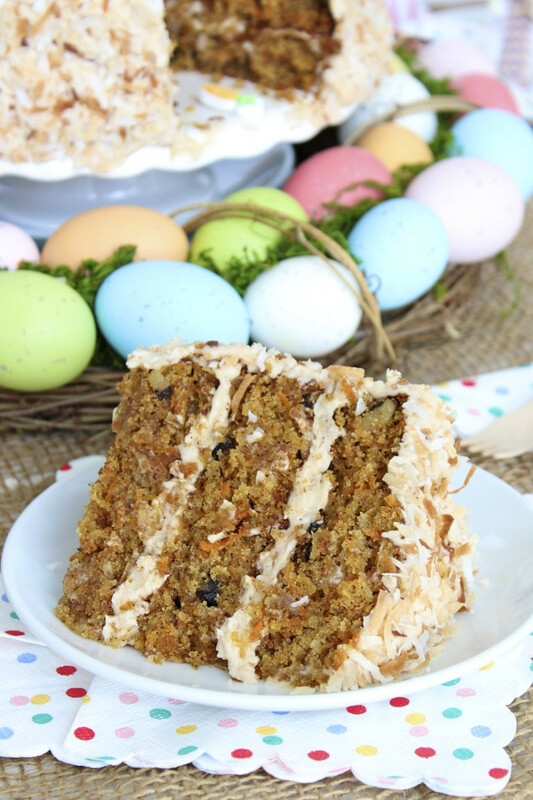 Immediately press the toasted coconut all around and on top of the cake. Decorate with carrot candies, if desired. Store in the refrigerator, wrapped in plastic wrap, for up to 5 days. 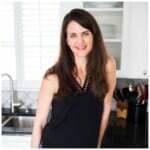 Can I omit the cornmeal in this recipe. Hi Jackie! Yes, but substitute it with whole wheat flour or more all-purpose flour. You won’t get the same hearty texture, but it should still taste amazing! Enjoy! Can you taste the cornmeal in this cake. Hi Jackie! 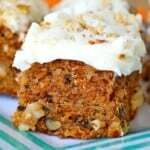 No, not at all, it just adds a nice hearty texture that compliments the carrot and coconut perfectly. Enjoy! 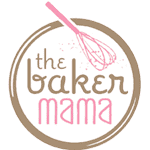 Welcome to The BakerMama! I’m so happy you’re here! 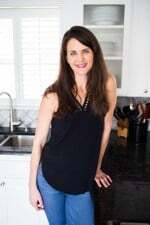 To learn more about me, click here. Copyright © 2019 The BakerMama, LLC, All Rights Reserved.